During the period of 1964 to 1971 Third generation computers were developed. 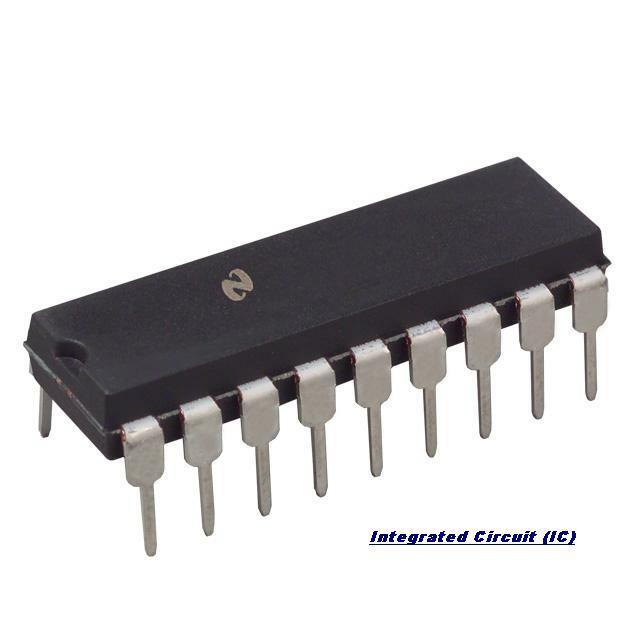 In Third Generation of Computer Jack St Clair Kilby and Robert and Robert Noyce in 1958 invented the first integrated circuit. An integrated circuit (called ICs) are circuits consisting of several electronic components like a transistor, resistors, and capacitors grown on a single chip of silicon eliminating wired interconnection between component. The IC technology was also known as “microelectronics” technology because it made it possible to integrate a larger number of circuit components into very small (less than 5 mm square) surface of silicon, know as “chip”. Initially, the integrated circuits contained only about ten to twenty components. This technology was named small-scale integration (SSI). Later with the advancement in technology for manufacturing ICs, it became possible to integrate up to about a hundred components on a single chip. This technology came to be known as medium scale integration (MSI). A computer built using integrated circuits characterized the third generation. Earlier ones used SSI technology and later ones used MSI technology. ICs were smaller, less expensive to produce, more rugged and reliable, faster in operation, dissipated less heat, and consumed less power than circuit built by wiring electronic components manually. Hence, third-generation computers were more powerful, more reliable, less expensive, smaller, and cooler to operate than second-generation computers. Parallel advancement in storage technologies allowed construction of large magnetic core based random access memory as well as larger capacity magnetic disks and tapes. Hence, third-generation of computers typically had few megabytes (less than 5 Megabytes) of main memory and magnetic disks capable of storing few tens of megabytes of the data disk drive. On the software front, standardization of high-level programming, time-sharing operating system, unbundling of software from hardware, and creation of an independent software industry happened during the third generation. FORTRAN and COBOL were the most popular high-level programming languages in those days. American National Standards Institute (ANSI) standardized them in 1966 and 1968 respectively, and the standardized version were called ANSI FORTRAN and ANSI COBOL. The idea was that as long as programmers follow these standards in program writing. A program could be run on any computer with an ANSI FORTRAN or ANSI COBOL compiler. Some more high-level programming languages were introduced during the third-generation period. Notable among these were PL 1, PASCAL, & BASIC. 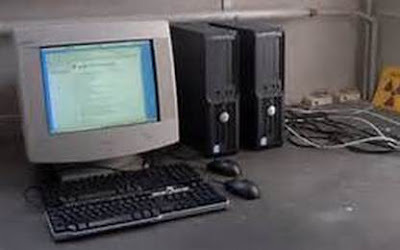 We saw that second-generation computers used a batch operating system. In these systems, users had to prepare their data and programs and then submit them to a computer center for processing. The operator at the computer center collected these user jobs and fed them to a computer batch at scheduled intervals. The respective users than collected their jobs output from the computer center. Especially programmers, because often they had had no wait for days to locate and correct a few program errors. To rectify this situation, John Kemeny and Thomas Kurtz on Dartmouth college introduced the concept of timesharing operating system. Timesharing operating system enables multiple users to directly access and share computing resources simultaneously in a manner that each user feels that no one else is using the computer. This is accomplished by using a large number of independent relatively low-speed, on-line terminals connected to the main computer simultaneously. Introduction of the timesharing concept helped in drastically improving the productivity of programmers and made on-line systems feasible, resulting in new on-line applications like reservation systems, interactive query system etc. Until 1965, computer manufacturer sold their hardware along with all associated software without any separate charges for software. For example, buyers received language translators for all languages supported on a computer they purchased. From users standpoint software was free, However, the situation changed in 1969 when IBM and other computer manufacturers began to price their hardware and software products separately. This unbundling of software from hardware gave users an opportunity to invest in the software of their need and value. For example, how buyers could purchase only the language translators they needed and not all languages translators supported on the purchased computer. 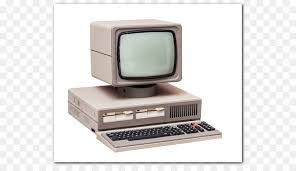 This led to the creation of many new software houses and the beginning of an independent software industry. Development and introduction of minicomputers also took place during the third generation period. Computers built until the early 1960s were mainframe systems that only very large companies could afford to purchase and use. Clearly, a need existed for low-cost smaller computers to fill the gaps left by the bigger, faster and costlier mainframe systems. Several innovators recognized this need forked new firms in the 1960s to produce smaller computers. Digital Equipment Corporation (DEC) introduces the first commercially available minicomputer the PDP-8 (Programmed Data Processor) in 1965. It could easily fit in the corner of the room and did not require the attention of a full-time computer operator. It used a timesharing operating system and a number of users could access it simultaneously from a different location in the same building. 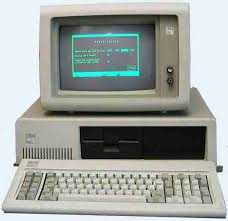 Its cost was about one-fourth the cost of a traditional mainframe system making it possible for smaller companies to afford computers. It confirmed the tremendous demand for small computers for business and scientific applications, and by 1971 there were more than 23 computer manufacturers in the minicomputer market. They were more powerful than second-generation computers. They were capable of performing about 1 million instruction per second. 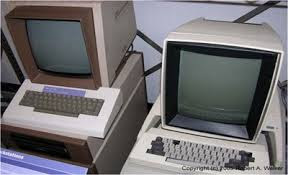 They were smaller than second-generation computers requiring smaller space. 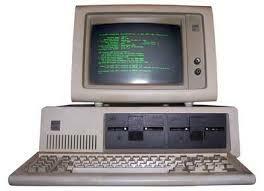 They consumed less power and dissipated less heat than second-generation computers. The rooms areas in which third-generation computers were located still required to be properly air-conditioned. They were more reliable and less prone to hardware failures than second-generation computers requiring lower maintenance cost. 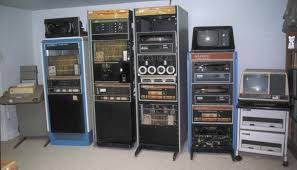 They had faster and larger primary and secondary storage as compared to second-generation computers. They were generation-purpose machines suitable for both scientific and commercial applications. Their manufacturing did not require manual assembly of individual components into electronic circuit resulting in reduced human labor and cost involved at the assembly stage. Hence, commercial production of these systems was easier and cheaper. However, highly sophisticated technology and expensive setup were required for the manufacture of IC chips. Standardization of high-level programming languages allowed programs written for one computer to easily ported to execute on other computers. Timesharing operating system allowed interactive usage and simultaneous use of these systems by multiple users. Timesharing operating system helped in drastically improving the productivity of programmers cutting down the time and cost of program development by several folds. Timesharing operating system also made on-line systems feasible resulting in usage of these systems for new online applications. Unbundling of software from hardware gave users of these systems ana opportunity to invest only in the software of their need and value. Minicomputers of third-generation made computers affordable even by smaller companies.